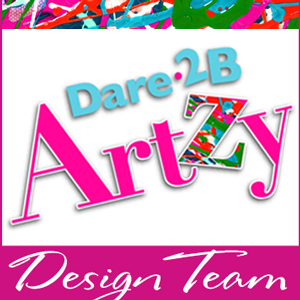 Today is my day at the Dare 2B Artzy blog! 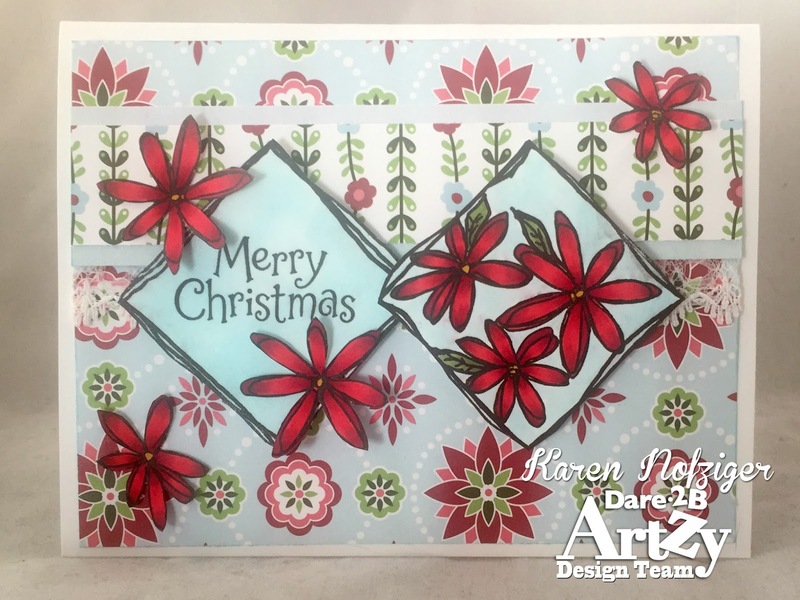 I'm featuring a Christmas card today using stamps that normally would not say "Christmas" - but they did to me, so why not?!? The set is from the Totally Tracy line at Dare 2B Artzy - called Be There or Be Square. I used Copic markers YG61 and YG63 for the leaves, colored the flowers with R24, R27 and R29 and filled in the background with B00. The flower square was stamped twice, and I fussy cut three of the flowers in one square to use as embellishments. The sentiment is from the Penguin Fun stamps, and the paper is from the Holly Days Paper Collection.